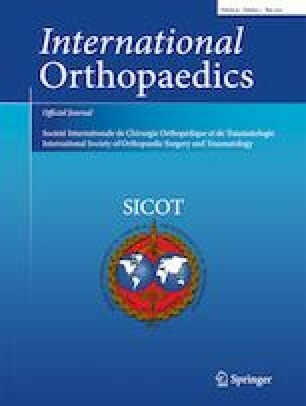 Rotator cuff tear characteristics: how comparable are the pre-operative MRI findings with intra-operative measurements following debridement during arthroscopic repair? Magnetic resonance (MRI) is a valuable imaging method which can detect pre-operative rotator cuff tear characteristics accurately. However, tendon degeneration almost always necessitates a certain amount of debridement during arthroscopic repair, which alters tear size and shape. The aim of this study is to question the accuracy of the pre-operative tear size and classification in MRI and its relation to the tear size and type of the debrided tendon during arthroscopic repair. A retrospective survey was performed to identify shoulders that underwent arthroscopic rotator cuff repair. Rotator cuff tears with an adequate history, a standard pre-operative MRI, and available surgical video records with appropriate measurements were included. Traumatic tears, calcifying tendonitis, isolated subscapularis tears, and revisions were excluded. In total, 60 shoulders’ (30 males, 27 females; age 55.2 [35–73]) preoperative MRIs and intra-operative measurements were analyzed by orthopaedic surgeons and radiologists. Tear width and type were recorded. Interdisciplinary and intradisciplinary consistency of measurements and classifications were analyzed. Tear width measured on pre-operative MRI and after debridement were compared. Average measured tear width was 9 ± 5.3 mm on MRI. Surgeons (9.98 ± 4.6 mm) measured tears significantly wider than radiologists (7.71 ± 6.6 mm). Radiologists (ICC, 0.930; CI, 0.883–0.959) showed superior consistency on MRI than surgeons (CI, 0.502; CI, 0.105–0.726). Average tear width measured after debridement (29.3 ± 9.6 mm) was significantly higher than tear width measured on pre-operative MRI (p < 0.0001). None of the researchers assessing tear type on pre-operative MRI showed agreement with surgeons assessing intra-operative data. There were significant differences between the pre-operative tear characteristics on MRI and the debrided tendon characteristics during surgery, which were extensive enough to classify the tear in a different category. All authors declare that they were involved in designing the study, collecting the data, analyzing the data, writing the manuscript, and confirming the accuracy of the data and the analyses. The study protocol was approved by the Medical Ethics Committee of the Koç University, Istanbul, Turkey (2015.149.IRB2.054).